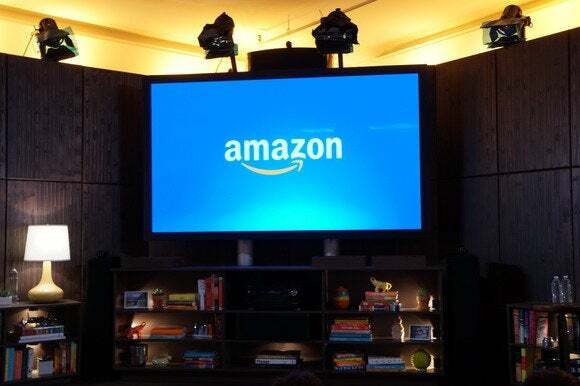 Amazon has bolstered its lineup of original TV series, adding more than a dozen new pilot episodes coming this month. The company will debut 13 new shows on its Prime Instant Video service starting on January 15. They include The Man in the High Castle from X-Files producer Frank Spotnitz, which takes place in an alternate history where the U.S. and its allies lost World War II. Also launching is Mad Dogs, a dark comedy about a group of underachieving forty-somethings who reunite for a series of misadventures. Kids aren’t left out, however, as there are six children’s shows launching. New programs include Buddy, Tech Detective, a story targeted at preschoolers about a mystery-solving dog. Live action pilot Just Add Magic is geared towards children ages 6-11. It follows a group of girls who discover they have, you guessed it, magical powers. Another notable entry to make it to production is The New Yorker Presents, a half-hour docu-series that dives into topics covered in the magazine. Also making the cut is Point of Honor, a story about a Civil War soldier who frees his own slaves yet fights for the South. Amazon is, however, nixing The After, a science-fiction drama from X-Files creator Chris Carter. These aren’t the first shows from Amazon Studios, which has also produced some children’s programming, such as Tumble Leaf and Creative Galaxy. Amazon is in its second season of Alpha House and is debuting two other new series later this year. The story behind the story: Amazon clearly thinks it can replicate the success of Netflix original series like House of Cards and Orange is the New Black. Its Instant Video service is available on virtually every platform, providing a wide potential viewership and another reason to hook in fans to its $99-pear-year Prime service.